Andrea Barnet was a regular contributor to the New York Times Book Review for twenty-five years, where she wrote primarily on the arts and culture. She is the author of Visionary Women, How Rachel Carson, Jane Jacobs, Jane Goodall and Alice Waters Changed our World, a finalist for the 2019 PEN/ Bograd Weld Award for biography and All-Night Party: The Women of Bohemian Greenwich Village and Harlem, 1913-1930, which was a nonfiction finalist for the 2004 Lambda Literary Awards. Her journalism has appear in Smithsonian Magazine, the New York Times, Harper’s Bazaar, Elle, The Toronto Globe, and Mail, among other publications. She splits her time between the Hudson Valley and New York City. Emily Bernard was born and grew up in Nashville, Tennessee, and received her PhD in American studies from Yale University. She has been the recipient of grants from the Ford Foundation, the NEH, and a W. E. B. Du Bois Resident Fellowship at Harvard University. Her essays have been published in journals and anthologies, among them The American Scholar, Best American Essays, and Best African American Essays. She is the Julian Lindsay Green & Good Professor of English at the University of Vermont. Photo credit: Stephanie Seguino. Jane Brox is the author of Brilliant, Clearing Land, Five Thousand Days Like This One, a finalist for the National Book Critics Circle Award, and Here and Nowhere Else, which received the L. L. Winship / PEN New England Award. She lives in Maine. Julie Dobrow is a professor with appointments in the department of Child Study and Human Development and the Tisch College of Civic Life at Tufts University and serves as director of the Center for Interdisciplinary Studies. Her writing has appeared in Boston Globe Magazine and the Huffington Post, among other publications. She lives outside of Boston. Eric Jay Dolin’s new books is Black Flags, Blue Waters: The Epic History of Americas Most Notorious Pirates. He is also the author of Leviathan: The History of Whaling in America, which was chosen as one of the best nonfiction books of 2007 by the Los Angeles Times, Boston Globe, and Providence Journal, and also won the 2007 John Lyman Award for U.S. Maritime History; and Fur, Fortune, and Empire: The Epic History of the Fur Trade in America, which was chosen by the Seattle Times as one of the best nonfiction books of 2010, and also won the James P. Hanlan Book Award, given by the New England Historical Associa-tion. He is also the author of When America First Met China: An Exotic History of Tea, Drugs, and Money in the Age of Sail, which was chosen by Kirkus Reviews as one of the 100 best nonfiction books of 2012; and Brilliant Beacons: A History of the American Lighthouse, which was chosen by gCaptain and Classic Boat as one of the best nautical books of 2016. A graduate of Brown, Yale, and MIT, where he received his PhD in environmental policy, Dolin lives in Marblehead, Massachusetts, with his family. For more on Eric, please visit his website, at www.ericjaydolin.com, or follow his Facebook professional page @ericjaydolin. Anne Fadiman’s most recent book—The Wine Lover’s Daughter, a memoir about her father, the writer Clifton Fadiman—was an NPR Book of the Year. Her first book was The Spirit Catches You and You Fall Down, an account of the medical and cultural conflicts between a family of Hmong refugees and their daughter’s physicians, which won the National Book Critics’ Circle Award for Nonfiction. She has also written two essay collections, Ex Libris and At Large and At Small, and the introduction to The Opposite of Loneliness, by her late student Marina Keegan. As Yale’s Francis Writer-in-Residence, Fadiman has received the Richard H. Brodhead Prize for Teaching Excellence. She is a fellow of the American Academy of Arts and Sciences. Áine Greaney is an Irish-born author who never wrote or published anything until she landed in America in 1986. Since then, her work has been published and broadcast in the U.S., Ireland, the U.K. and Canada. In addition to her four books, her essays and articles have appeared in Creative Nonfiction, NPR/WBUR, The Boston Globe Magazine, Salon, The Drum, New Hibernia Review, Litro Magazine and other outlets. Her essay collection, “Green Card and Other Essays” will be released in spring 2019. Her awards and shortlists include a citation in “Best American Essays.” Also, “Sanctuary,” her essay about family bereavement, was nominated for a Pushcart Prize. She has presented or co-presented at national and regional conferences and discussion panels. Dyke Hendrickson, who is the Outreach Historian for the Custom House Maritime Museum, has a new book out this spring, “New England Coast Guard Stories: Remarkable Patriots” from The History Press. It is his fifth. In 2017, he wrote “Nautical Newburyport: A History of Captains, Clipper Ships and the Coast Guard.” Hendrickson is a journalist who has always lived near a seaport, and newspapers for which he has been an editor and/or writer include the Portland Press Herald, the New Orleans Times-Picayune, the Boston Herald and The Daily News in Newburyport. Hendrickson is a graduate of Franklin and Marshall College, and he did graduate work at the University of Maine, Orono. Linda Hirshman is a lawyer, a cultural historian, and the author of Victory: The Triumphant Gay Revolution and many other books. She received her JD from the University of Chicago Law School and her PhD in philosophy from the University of Illinois at Chicago, and has taught philosophy and women’s studies at Brandeis University. Her writing has appeared in the New York Times, the Washington Post, Slate, Newsweek, the Daily Beast, and POLITICO. She lives in Arizona and New York City. Photo credit Nina Subin. George Howe Colt is the author, most recently, of The Game: Harvard, Yale, and America in 1968. The book tells the story of the 1968 Harvard-Yale football game, the legendary 29-29 tie that is on nearly every list of the top ten most exciting games in college gridiron history. It also tells the story of a watershed year in American history, as navigated by a group of young men and by the contrasting institutions they attended. The Wall Street Journal called The Game “the rare sports book that lives up to the claim of so many entrants in this genre: It is, in its way, the portrait of an era.” Colt is also is the author of The Big House: A Century in the Life of an American Summer Home, which was a New York Times Notable Book and a finalist for the 2003 National Book Award; Brothers, winner of the 2013 Massachusetts Book Award for nonfiction; and November of the Soul, a critically acclaimed study of suicide. He has taught at Smith College and was for many years a staff writer at Life magazine. He lives in Western Massachusetts with his wife, Anne Fadiman. Juliette Kayyem is a national leader in homeland and national security. She presently serves as CEO of Zemcar, a lifestyle company focused on connecting busy parents with qualified drivers to solve their family’s transportation needs. A frequent on-air national security analyst for CNN, Kayyem also serves as the Faculty Director of the Homeland Security Project at Harvard’s Kennedy School of Government. Previously, Kayyem served as President Obama’s Assistant Secretary for Intergovernmental Affairs at the Department of Homeland Security. She played a pivotal role in major operations including the handling of the H1N1 pandemic and the BP Oil Spill response; she also organized major policy efforts in immigration reform and community resiliency. Before that, Kayyem was Massachusetts Governor Deval Patrick’s homeland security advisor. She is the recipient of many government honors including the Distinguished Public Service Award, the Coast Guard’s highest medal awarded to a civilian. Kayyem’s memoir Security Mom: My Life Protecting the Home and Homeland, tells stories of her professional life in homeland security and her personal life as a mother. In 2013, she was named the Pulitzer Prize finalist for editorial columns in the Boston Globe focused on ending the Pentagon’s combat exclusion rule against women, a policy that was changed that year. A graduate of Harvard College and Harvard Law School, she is the mother of three children and married to First Circuit Court of Appeals Judge David Barron. Christopher Klein is a frequent contributor to History.com, the web site of the History Channel, and the author of four books. His latest book, When the Irish Invaded Canada: The Incredible True Story of the Civil War Veterans Who Fought for Ireland’s Freedom (Doubleday, March 2019), tells the story of a band of Union and Confederate veterans who fought side by side to undertake one of the most fantastical missions in military history: to seize the British province of Canada and hold it hostage until the independence of Ireland was secured. In this outlandish, little-known coda to the Civil War, the self-proclaimed Irish Republican Army carried out five attacks on Canada—known collectively as the Fenian Raids—between 1866 and 1871. Previous books include Strong Boy: The Life and Times of John L. Sullivan, and he has also written for the Boston Globe, New York Times, National Geographic Traveler, and Harvard Magazine among other publications. He lives in Andover, Massachusetts. Visit him at christopherklein.com. A native of New York City, Lee Mandel retired from the United States Navy in 2013 after nearly thirty years of service as a Navy physician. His naval service included two tours as staff physician in the Office of the Attending Physician at the United States Congress and tours as Senior Medical Officer aboard three U.S. Navy aircraft carriers. While on active duty, he began to pursue his interest in history and he researched and published on President John F. Kennedy’s White House medical records. This led to him being invited twice to appear on the History Channel. His first book, Moryak: A Novel of the Russian Revolution won the Grand Prize at the Santa Fe Creative Arts Festival in 2010. He followed this with a biography of Rabbi Roland Gittelsohn of Iwo Jima fame entitled Unlikely Warrior: A Pacifist Rabbi’s Journey from the Pulpit to Iwo Jima. His newest book, Sterling Hayden’s Wars, is an authorized biography of the late film star, author, and war hero Sterling Hayden. Lee is an in-demand speaker at local universities and was the lecturer on Presidential Medicine at the 2016 annual meeting of the American College of Physicians. Joyce Maynard is the author of nine novels and three memoirs, including the New York Times bestselling novels To Die For and Labor Day (both adapted for film) and the best-selling memoir, At Home in the World—translated into sixteen languages. Her most recent memoir, The Best of Us—about finding her husband and losing him to cancer four years later—was published in Fall, 2017. Her new novel—her tenth—will be published in Winter, 2020. In 2002 Maynard founded The Lake Atitlan Writing Workshop in San Marcos La Laguna, Guatemala, where she hosts a weeklong workshop in personal storytelling every winter, as well as a summer memoir workshop in her home state of New Hampshire. She is a fellow of The MacDowell Colony and Yaddo. Forty six years after dropping out of college at age 18, Joyce Maynard returned to college this past fall to resume her studies. She is currently a Yale sophomore. Sean Moore is the author of two books on eighteenth-century literature and history, the editor of the top academic journal globally on the Enlightenment and its legacies, and is an Associate Professor of British, Irish, and early American literature at the University of New Hampshire. A former Congressional Aide to Congressman Barney Frank of Massachusetts, he was a Fulbright Scholar to the Republic of Ireland in 2001-2002. He holds degrees from Duke (Ph.D.), Georgetown (M.A. ), and UMASS (B.A. ), and he has been awarded fellowships from the National Endowment for the Humanities, Brown University, the Newport Mansions, the Folger Shakespeare Library, and many other organizations. His first monograph, “Swift, the Book, and the Irish Financial Revolution: Satire and Sovereignty in Colonial Ireland” (Johns Hopkins UP, 2010), won the 2010 Donald Murphy Prize for Distinguished First Book from the American Conference for Irish Studies. He will be speaking about his newly-published second book, “Slavery and the Making of Early American Libraries: British Literature, Political Thought, and the Transatlantic Book Trade, 1731-1814” (Oxford University Press, 2019). This book studies how the transatlantic book trade – the purchase of London printed books by Americans eager for British culture and identity – was enabled by the consumer habits and philanthropy of men engaged in slavery and related enterprises. Peter Orner is the author of two novels and story collections published by Little, Brown: The Second Coming of Mavala Shikon-go, (2006) and Love and Shame and Love, (2010), Esther Stories (2001, 2013 with new foreword by Marilynne Robinson) and Last Car Over the Sagamore Bridge (2013). His most recent book, an essay collection/memoir, Am I Alone Here? : Notes on Reading to Live and Living to Read (Catapult, 2016) was a finalist for the National Book Critics Circle Award. A new collection, Maggie Brown & Others will be out from Little, Brown in July, 2018. 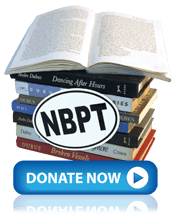 Orner’s fiction and non-fiction stories have appeared in the New York Times, the New Yorker, the Atlantic Monthly, the Paris Review, Granta, and elsewhere, and have been anthologized in Best American Stories and twice received a Pushcart Prize. He has been awarded the Rome Prize from the American Academy of Arts and Letters and the American Academy in Rome, a Guggenheim Fellowship, and a two-year Lannan Foundation Literary Fellowship. In 2017-2018, Orner was a Fulbright U.S. Scholar in Namibia where he taught at the University of Namibia. He currently hold the Professorship in English and Creative Writing at Dartmouth College and is a member of the Norwich, Vermont Fire Department. Dawn Raffel’s new book is The Strange Case of Dr. Couney: How a Mysterious European Showman Saved Thousands of American Babies. It’s the true story of the “incubator doctor” of Coney Island and Atlantic City who saved premature infants by placing them in sideshows on the boardwalk. The New York Times Book Review called it “forgotten but fascinating history” and NPR.org described it as “a mosaic mystery told in vignettes, cliffhangers, curious asides, and some surreal plot twists as Raffel investigates the secrets of the man who changed infant care in America.” The Strange Case of Dr. Couney has won a Christopher Award! The award, now in its 70th year, is “to celebrate writers, producers, directors, authors and illustrators whose work affirms the highest values of the human spirit.” Previous books include an illustrated memoir, The Secret Life of Objects (a Wall Street Journal bestseller), a novel and two story collections. With a degree in political science from Barnard College and a Master of Architecture from the University of Pennsylvania, Rachel Slade began her journalism career as the design editor at Boston magazine and moved up the masthead to executive editor. After a decade on staff, she became a full-time freelance writer in 2016. Her magazine work has earned considerable national recognition, including a national civic journalism award for an investigative story on the Boston Redevelopment Authority. In October 2016, Yankee magazine ran her long-form narrative about the sinking of the container ship El Faro, a CRMA finalist for reporting, which led to the book, Into the Raging Sea. Rachel is now the editor of the Ideas section, which runs every Sunday in the Boston Globe. She splits her time between Brookline, Massachusetts, and Rockport, Maine. Michael Sokolove is a contributing writer for the New York Times Magazine. THE LAST TEMPTATION OF RICK PITINO: A Story of Corruption, Scandal, and the Big Business of College Basketball is his fifth book. His previous books have included DRAMA HIGH, which became the NBC primetime series RISE. At the New York Times Magazine, he has written about the science, culture and sociology of sports, as well as politics and a broad range of other topics. His work has been included in the Best American Sportswriting and Best American Medical Writing anthologies. He and his wife, Ann Gerhart, an editor at the Washington Post, live in Bethesda, Maryland and have three children. James Sullivan is an author, Boston Globe contributor and freelance journalist. From 1995-2004 he was a pop music and culture critic for the San Francisco Chronicle. He has been an editor for Rolling Stone and a consultant for Pandora, and he has written for a long list of print publications, websites and assorted rags. He has done album reviews for Entertainment Weekly and NPR’s All Things Considered, have appeared on radio, TV and as a talking head in several documentaries. In his spare time, he is a programmer and moderator for the Newburyport Documentary Film Festival and founder and co-organizer of Lit Crawl Boston. He has served as a Library Trustee, an alumni mentor at the University of New Hampshire and a workshop volunteer at 826 Boston, where he helped a class of high school students write and publish the anthology We Think You’re Old Enough to Know. Elaine Weiss is a Baltimore-based journalist and author. A frequent correspondent for the Christian Science Monitor, her magazine feature writing has been recognized with prizes from the Society of Professional Journalists, and her byline has appeared in many national publications, as well as in reports for National Public Radio. Weiss’ long-form writing garnered a Pushcart Prize “Editor’s Choice” award, and she is a proud MacDowell Colony Fellow. Her first book, Fruits of Victory: The Woman’s Land Army in the Great War was excerpted in Smithsonian Magazine online and featured on C-Span. Weiss’ new book, The Woman’s Hour: The Great Fight to Win the Vote (Viking/Penguin) has won glowing reviews from the New York Times, Wall St. Journal, Christian Science Monitor, and NPR, among others, and she has presented talks about the book and the woman suffrage movement across the country. Steven Spielberg’s Amblin production company has optioned the book for adaptation, with Hillary Rodham Clinton serving as Executive Producer.